Early in 1948 the Central Highlands of Queensland was abuzz with excitement. 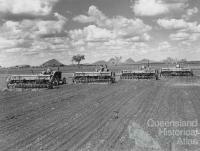 An organisation known as the Queensland British Food Corporation (QBFC) had formed to begin farming on a massive scale. Basic foodstuffs were severely rationed in Britain after the war and large scale food producing projects were under development within its Empire. In Queensland the QBFC would grow crops and fatten pigs for export to England. 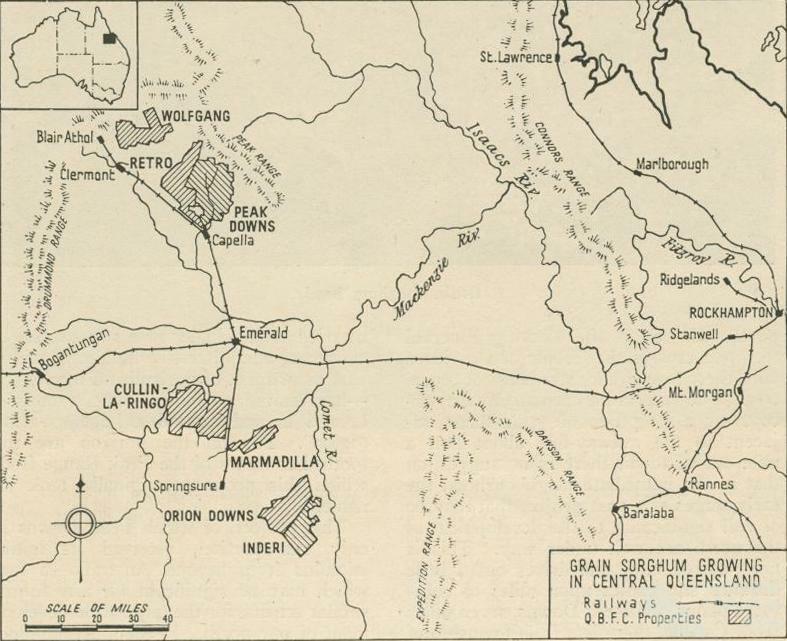 To get started, the Queensland Government bought up vast properties with the British Government providing three quarters of the capital needed. The largest of these properties were Peak Downs near Capella and Cullin-la-ringo between Emerald and Springsure. Peak Downs became headquarters for the enterprise. Local residents were staggered at the speed with which the scheme progressed. Within weeks the old pastoral lifestyle changed completely. Strangers crowded the district. Tractors, ploughs, flat top trucks and other machinery arrived daily, new roads were under construction and a smell of fuel oil hung in the air. Meanwhile hundreds of employees were recruited in a complicated graduation of field managers, farm managers, tractor drivers, foremen and general workers, all responsible to a Central Board in Brisbane, which in turn was responsible to a head office in Britain. Confidence rode high. 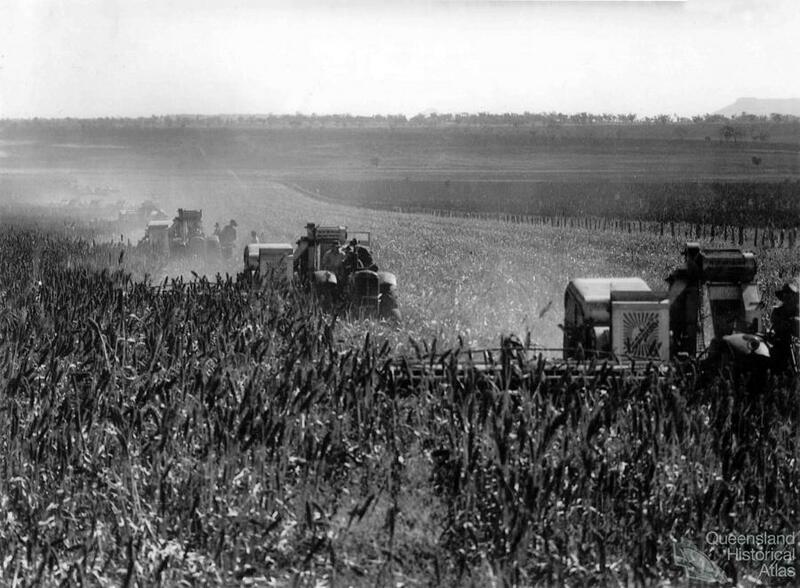 The QBFC would transform those empty acres of the Central Queensland landscape into vast fields of waving grain. Pigs would fatten on the harvest and cattle on the stubble. Planned down to the last detail, how could it fail? In postwar euphoria, survival was assured. There were detractors, mainly from those in competition for farm machinery and materials hard to get after the war. Labour too was flooding into Central Queensland and the ‘socialist’ nature of the project was unpopular. There were cooler heads among practical farmers who decried the scheme, predicting that the seasons and the inexperience of its senior men would bring downfall. Ploughing began on 22 May 1948, only four months after the scheme was mooted. The first work was done by local contractors using three heavy diesel crawler tractors each pulling several ploughs with a hitch they designed themselves. In ten hour shifts they churned up the soil at an average rate of 400 acres a shift. By 20 October, with additional work by the Corporation’s own tractors and staff, 31,405 acres had been prepared for planting. The summer of 1948-49 was dry. It was mid-January before planting could begin and full production was underway. While waiting for the harvest, development continued on many fronts. Roads were gravelled, a piggery was constructed at Moura, workshops and sheds were built and accommodation for workers improved. 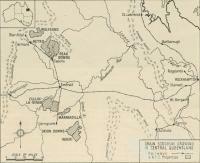 More land was acquired, cattle for fattening were purchased and an area was developed for experimental crops. Then the land dealt its first blow. Unseasonal frosts in May damaged the sorghum crop, especially the Kalo variety which suffered badly. Many new hands were needed for the harvest because filling and sewing of bags was done by hand and, although the frosts meant a smaller than expected total, the yield was still respectable. The latter months of 1949 brought good rainfall. The area hummed with progress. Important people, including officials from Britain, paid visits to the area. Crops flourished in 1950, but almost constant rain turned dirt roads to quagmires and tent living to soggy misery. It made harvesting almost impossible. A plague of mice chewed through uncollected bags in the fields and they ate grain that had been saved, causing heaped bags in a storage shed to collapse. Mice even invaded houses and ran about bedrooms and kitchens. A final catastrophic blow came in April 1951 when fumigation of a grain shed at Bajool resulted in fire which destroyed 3000 tons of harvested grain. So great were the difficulties of 1950, that its last grain consignment was not loaded until 21 July 1951. In the chaos of that rain-sogged year management decisions were made unwisely. 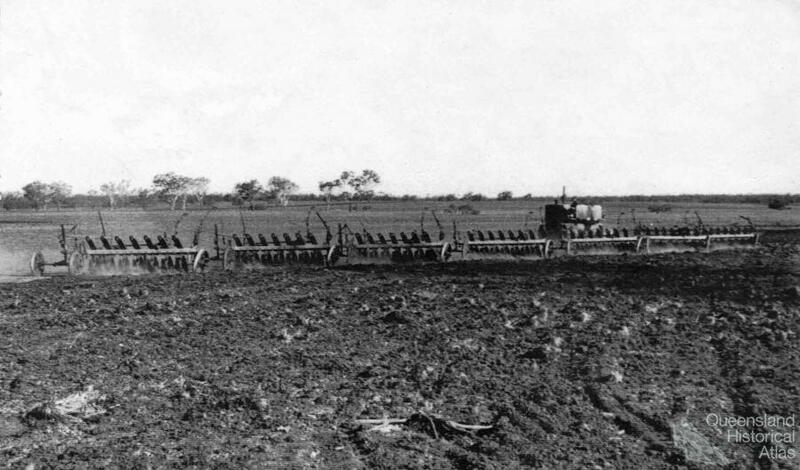 Practical farmers were overruled by officials in Brisbane. Tractor drivers sat in frustrated idleness for days on end until at last the Corporation could no longer bear the cost and they were put off. Other good men left too and were replaced by inexperienced migrants or by larrikins and idlers who cheated the system. If the 1949-50 yield was a disappointment, the results of following seasons were worse. The unpredictable weather turned to drought and some crops were a total failure. Pig production was limited and only cattle fattening showed a profit. By then food restrictions were easing in Britain, and no financial returns were being reaped from the venture. Heads began to roll in the Overseas Board of Management. In 1952 it was decided to wind down. All the machinery, buildings and removable materials were sold off by 1956 and the land was made available through ballot in small lots for private enterprise. Small land holders succeeded where the unwieldy project had floundered. Forcing soil to yield a harvest, tractors under the sky. Is just a thoughtful memory here with tractors silent, still. The Queensland British Food Corporation had been planned to aid the recovery of Britain following World War II. Reliable food production was a key element in the survival of Empire.